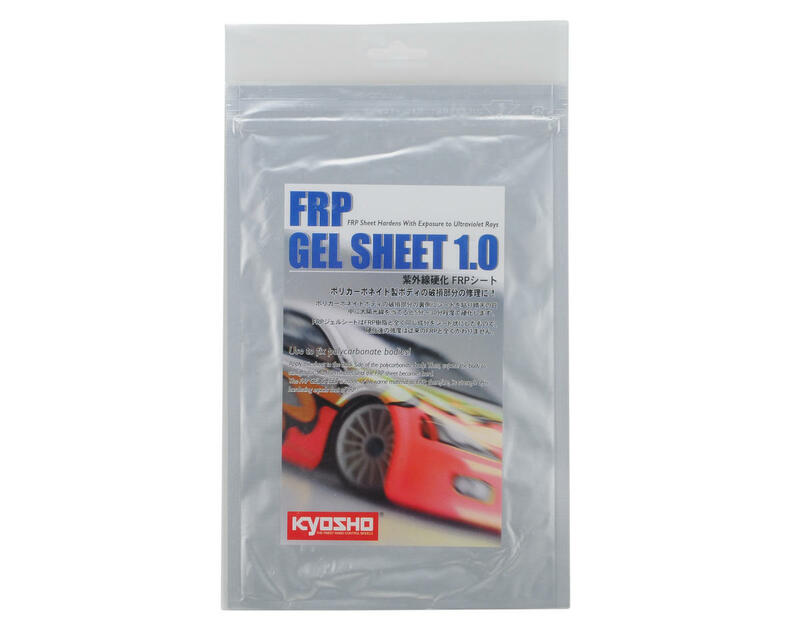 This is a sheet of Kyosho FRP body repair gel, and is intended to be used as a lexan body repair tool. You can also use this FRP gel sheet to help reinforce your bodies. FRP stands for fiberglass reinforced plastic, and the gel hardens when exposed to ultraviolet light (sun light). 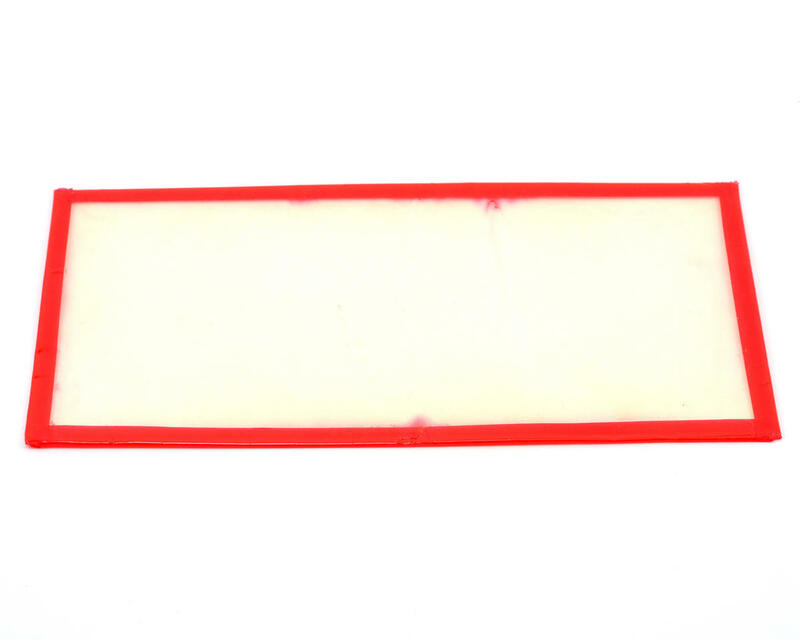 Simply cut a piece of the gel sheet to fit a cracked or hi-stress area of your lexan body and stick it on. Then let the gel dry in the sun light for a few minutes, and your lexan body is repaired and strengthened for maximum durability. This stuff works great! Sticks like cement. It's as hard as a rock. It only had taken about five to ten minutes in direct sunlight and it was already hardened. I put my sheet on the places where I new the body was going to stress or crack before I taped up the inside of the body. I would highly recommend the FRP Gel. A good product for certain uses, it is easy to work with, very strong and I had no issues with having it set, it fully hardened in 5 minutes and can even be sanded easily once it has set. It's not so good if you are looking to fix an off-road shell like I did, the repair sets very hard and doesn't flex much so after a few significant rollovers some of the patches came away from the body. I'd happily use this product for on-road shells or even repairs to my fiberglass heli canopies etc. Don't waste your money buying this, it just won't stick, even if you put under the sun for whole day!